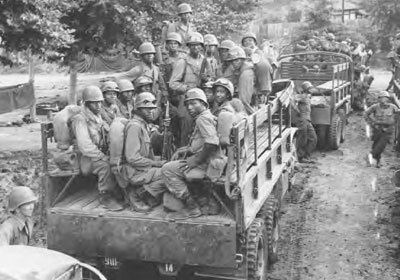 The arrival of the American 25th Division and the American 1st Cavalry Division into the battle, however they are pushed back by the North Korean Army. The poor performance of the American 24th Regiment. General Walker’s ‘Stand or Die’ order. A biography of Leon Gilbert an American officer sentenced to death by a Court Martial.